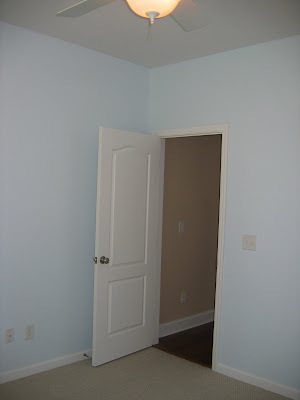 Double the Blessings: The Nursery Is Painted !!! 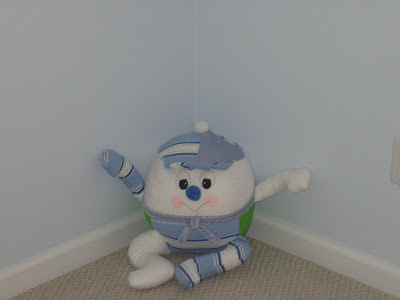 This is Humpty Dumpty who will hang from a swing above the glider rocker. As you can see he has multiple fabrics on him...This is all the fabric colors for the boys bedding. 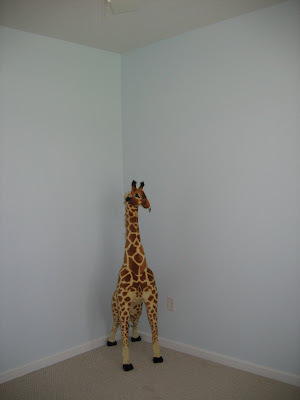 Is any little boy nursery complete with out a 5 foot giraffe?